This Sunday, nuclear tension. North Korea claims it has detonated a hydrogen bomb that could be mounted on an intercontinental ballistic missile. What does this mean and how will the U.S. react? We'll have the latest. Plus, after Harvey. I just was in such denial. I didn't put anything up. I didn't grab anything. The greatest rainfall event ever in the continental United States. The rainfall amounts really are staggering. Tens of thousands still in shelters. We're just very thankful that we are here, safe. We were, like, so happy, like God had answered our prayers. What's next? Beaumont remains underwater, while Houston begins to dry out. I'll talk to the mayor of Houston, Sylvester Turner. Also, after a brutal August, a now weakened President Trump faces a challenging September. I am fully committed to working with Congress. And I don't want to be disappointed by Congress. You understand? Can he get a budget passed, raise the debt limit, keep the government open, get his border wall funded? I'll talk to Republican Senator Roy Blunt of Missouri. Joining me for insight and analysis are, NBC White House Correspondent Kristen Welker, Matthew Continetti of The Washington Free Beacon, U.S.A. Today's Washington Bureau Chief, Susan Page, and Eddie Glaude of Princeton University. Welcome to Sunday, it's Meet the Press. 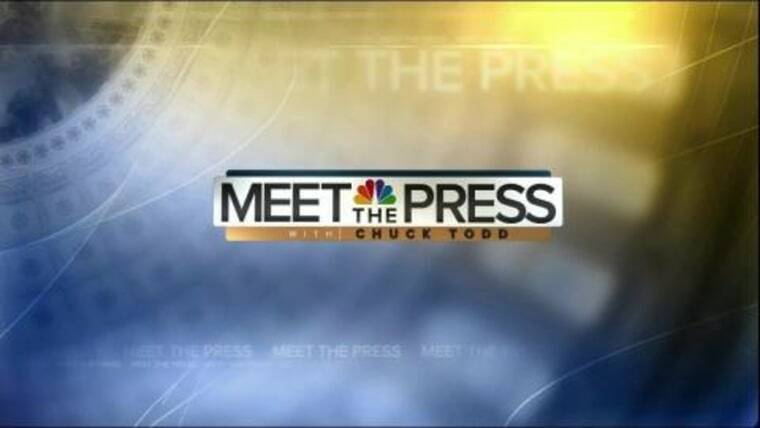 From NBC News in Washington, the longest running show in television history celebrating its 70th year, this is Meet the Press with Chuck Todd. Good Sunday morning. We're going to get to the latest on the flooding in Texas and the recovery efforts in a moment. But we begin with some very big news overnight while you were sleeping. North Korea carried out its sixth nuclear test and claims that it has detonated a hydrogen bomb that they say could be mounted on an intercontinental ballistic missile. Whether or not it was a hydrogen bomb or a larger version of its previously tested atomic bombs, South Korea's defense ministry says the explosion was five or six times as powerful as the last test the north conducted. Now this comes amid increasing tensions and elevated rhetoric between North Korea and the United States, with President Trump last month, warning of fire and fury if North Korea continues to threaten the United States. So let's go now to South Korea—our own Ron Allen. And Ron, do the South Koreans see this test as the most provocative step yet this year? Oh yes, Chuck, this is a huge step. This was a massive explosion. This was registered 6.3 on the Richter Scale according to the U.S.G.S.. And it comes at a time when, as you were pointing out, there's been an escalation, a constant escalation, the back and forth. Remember of course the North Koreans fired a missile over Japan not long ago. They threatened Guam not long ago, and now this. After just a couple of days ago, a massive show of military force by the United States, South Korea and Japan, a massive flyover, military exercises here that were, to some extent, unprecedented. And yet, the North Koreans keep pressing forward. The analysis in this part of the world is that the North Koreans are clearly testing and pushing the Trump administration to see how they will respond. They see an administration that's perhaps weakened, that has lower approval ratings, that's in somewhat disarray, they perhaps see, that isn't being able to get much done. And so now they are seizing this moment, many would argue, the North Koreans are, to just try to assert their will. This is a regime that sees its very existence tied to nuclear weapons and advanced missile capability. They see themselves acting in self defense. They see the regime dependent on having these armaments. And they don't see much coming back from the United States. Many analysts in this part of the world and elsewhere will tell you that the options that the U.S. has are perhaps limited. People see military scenarios playing out in this part of the world with just cataclysmic consequences. Sanctions haven't worked. So we've heard the outrage, you've heard the condemnations. Remains to be seen what more the Trump administration will do in the face of this very, very strong provocation. Chuck? All right, Ron Allen, who has been on the beat in Seoul for us. A long day and night for you, Ron. Thank you very much. Joining me now is our Chief Foreign Affairs Correspondent, Andrea Mitchell. Good morning, Andrea. Let me run through the President's tweets this morning. All North Korea focused, three of them. "North Korea's conducted a major nuclear test. Their words and actions continue to be very hostile and dangerous to the United States." "North Korea's a rogue nation which has become a great threat, an embarrassment to China, which is trying to help, but with little success." And then the third tweet: "South Korea is finding, as I have told them, that their talk of appeasement with North Korea will not work. They only understand one thing." Andrea, he singles out China, singles out South Korea and uses the word "appeasement." How is that being read by both China and South Korea right now? Well, the word "appeasement" is just such an insult to South Korea, which is sitting there right in target range. They'll view this as an insult? Oh, absolutely. That is an insult, as well as his threat to cancel a trade deal with South Korea right now—worst possible timing to make that threat. The fact is this is a game changer. Whatever this was, and intelligence officials and the Pentagon still trying to confirm to U.S. satisfaction that it was hydrogen. But the scale, the size of this is so big, it likely will prove to be a test, at least, of an advanced thermonuclear device. This means that they are getting closer and closer. And if they have achieved a hydrogen bomb, they still have to prove miniaturization, reentry on an ICBM, on an intercontinental ballistic missile. But the fact is the explosive nature of this kind of blast is so big that they need a much smaller, or rather much less of a lift. They can put this kind of a warhead on a missile and have a much more explosive effect. So they don't have to miniature as much as they ordinarily would. --comes to nuclear program. Let me put up these statistics here for you. These are just missile tests in North Korea. His father, Kim Jong Il, conducted 16 missile tests throughout his entire reign, okay? Kim Jong Un has already done 84. He's done 18 missile tests just since President Trump was inaugurated—more than his father, just in that six-month period. Ron, in his report from Seoul, alluded that the North Koreans are paying attention to the President's political standing. Is this all about testing Trump? Or is this something more going on? And are we almost reading too much into it domestically? I think it's probably both. Certainly testing President Trump and seeing the mixed messages coming from Secretaries Mattis and Tillerson, on one hand, talking more about diplomacy, and the ‘fire and fury,’ ‘worse than anything that the world has ever seen coming,’ the rhetoric, ‘locked and loaded,’ coming from President Trump. That kind of mixed message. And the uncertainty about who President Trump is in foreign affairs that is frankly worldwide. I've been speaking to a lot of foreign leaders about this. Right now, we don't know exactly what this is. But there's no question that the pace that you've just alluded to is so remarkable. I met his father when we were there for a diplomatic mission with Secretary Albright. We were getting close to normalization of relations. This is a very different North Korean leader. This is Russia and China in terms of giving them the economic help, the energy supplies. So the Ukrainian reports were discounted, widely discounted. But Russia has been helpful, as well. And we still see China, we most recently, pushing back against the unilateral U.S. sanctions which went against Chinese entities. They're not yet ready to really press hard. Maybe this will change it, but not clear it will. All right, Andrea Mitchell. A long night for you. I appreciate you getting up early. Coming this morning. Let's turn to the hurricane recovery efforts now. If there is one number that helps illustrate the biblical nature of the flood that hit southeast Texas this week, it's eight. That's the number of feet the Neches River in Beaumont has risen beyond the previous flooding record. Think about that, eight feet. That's 96 inches above the all-time record there in Beaumont. Thankfully, Harvey will not be the deadliest storm in U.S. history. But the destructive toll the storm took and the misery it caused can be hard to comprehend. Here's some numbers to consider. 51.88, that's the number of inches of rain that fell at Cedar Bayou outside of Houston, the greatest rainfall event ever in the continental United States. 43,500, the number of people in shelters. 436,000, the number of households seeking help from F.E.M.A..
$7.85 billion, the amount of money President Trump has initially requested in federal funds for first round of Harvey relief. 250,000, the number of Harris County homes with flood insurance policies. There are 1.75 million housing units in the county, including apartments. 9%, the drop over the past five years in Harris County homes with flood insurance. And finally, the saddest number of all, 43, that's the confirmed death total so far. Unfortunately, that number is likely to rise, as well. Hurricane Harvey caused what is being called "The Thousand Year Flood." I want to take a look back at the past week at scenes of tragedy, survival, and of common purpose. This storm intensified quickly making landfall overnight. This whole front area was grass earlier. Now we've got about two feet of water. Behind me, you can see, wow, this is one of the major highways in Houston. The house is flooded. And it's rising way too fast. An alarming situation is playing out right now in Crosby, Texas, explosions and smoke at a flooded chemical plant. A situation they warned that might happen is happening. You have the firefighters getting out their air canisters and their masks. The weather in Beaumont has been deteriorating all day long. You can see these large helicopters that have been plucking people out of the sky. We have rafts here for first responders that will go neighborhood to neighborhood. I just want to get home to my baby. We couldn't find them. And once our dive team got there, it was too treacherous to go under and look for them. He said the van was bobbing in the water, that's how deep it was. And he kept yelling at the kids. You can hear the kids screaming and crying, trying to get out of the van. Four mega shelters are operating, three in Houston, one in Dallas. I was like, "If we can't get out, we have to figure out a way tonight." I wasn't going to give up on my son. I was crying hysterically. I thought I was going to die. I'm just very thankful that we're here safe. I've lost my home. And I'm thankful my children are safe. It's just I have nowhere to go. We're signing a lot of documents now to get money and to use it. But it looks like round about 100,000 affected homes. That's a big number. All my assets in my house, all gone, and no insurance. I left the garage full of stuff. I keep thinking, like, what's in there? To watch all your stuff being kind of-- floating away, pretty much, our entire lives. We're just past the $15 million mark. I've said it so many times before, but I think the worst times bring out the best in people. Whatever we can do to help these people in a time of need, that's what we're going to do. (SINGING) We want to see your kingdom prayer. CHUCK TODD: And joining me now is perhaps the busiest man in the country right now, the mayor of Houston, Sylvester Turner. Mr. Mayor, welcome to Meet the Press. A whole country pulling for your city right now, sir. MAYOR SYLVESTER TURNER: Well, thank you. And, look, we appreciate that. Sure. CHUCK TODD: Let me start with Tuesday morning. This coming Tuesday morning. How much of the city is operational? How many businesses do you feel like can open? How many people do you feel like can go back to work etc.? What is the goal for Tuesday morning? MAYOR SYLVESTER TURNER: And, of course, the West Houston area, with water being released from the dam. But most of the city is dry. And I’m saying to people if you can open, let’s open up and let’s get started. CHUCK TODD: Let’s talk about what are your immediate needs right now. You talked about this issue -- where you had to order a very small evacuation of folks because of the release of water from the dam. How long is that going to be in place? Is that a week, two weeks? And you said it’s only for houses that already have water in them that they have to get out. Let me explain that, Chuck. This is for the area in West Houston where many of those homes, most of those homes didn't flood because of the rainfall, they are flooding because water's being released from the reservoir to establish capacity on the west side of the reservoir. That is probably going to continue for the next 10 days. And what I have said in very narrow terms, for those homes that are already inundated with water, if you have water in your homes, I have issued a mandatory evacuation for them because it's dangerous for those who are choosing to live there. But also, it's very, very dangerous for our public responders, first responders, who are needing to be out there, trying to provide protection to them. So I've issued a mandatory evacuation for only those homes where water exists in the homes already. And that will probably remain in place probably for the next 10 days. Let me ask you about, there've been some reports overnight from the Associated Press about some superfund sites, sort of toxic cleanup sites that are essentially run by the federal government, the Environmental Protection Agency. How concerned are you about the flooding that's occurred there? Is there any chance you think this could impact drinking water? I know you have said the drinking water in Houston is safe to drink now. What do you know about these superfund sites? And is the federal government on this? Well, the superfund sites are right outside of the city of Houston. They're not in the city of Houston. I feel very comfortable about our water system. The system is safe. The plants are functioning. And so I'm fine about that. That may be along right around the San Jacinto River area. But those are sites that are outside. I don't know, I can't speak to specifically as to whether or not the E.P.A. is on the ground. It certainly would be important to have them on the ground and to inspect those sites and to try to contain any possible contamination. So I'll be visiting with some other people in the region. But those are sites not specifically within the city of Houston. You know, many times with water damage, there are invisible toxins, or where you don't know, you think your house has, oh, the water's gone, but the mold could be so bad that you cannot live in there. Who is making the determination whether a house needs to be condemned completely or it can be rehabbed? Is that a federal government decision? Is that something your government handles? Can you -- walk us through that. Right. That is something that we will be handling locally. And what I have said, even though most to 95 percent of the city is dry, for many homes, the damage is on the inside. And especially, let me know, especially with regards to low income communities. And so now what we are doing, and we started this several days ago, we're going literally door to door. We have a lot of volunteers, first responders and others, firefighters, are going door to door to check on people, possibly anybody that we have left behind. Or especially seniors who may be in their home but really don't appreciate the danger of living in homes, dry now, but the mold is starting to set up, sheetrock that needs to be pulled out. So that's going to be our local responsibility to watch out and take care of our neighbors. I'm particularly sensitive to seniors, people with disabilities, people in the low income communities and neighborhoods. But that's a door to door, checking on them, looking in their homes and, where possible, assisting them in pulling out those carpets, those rugs, the sheetrock. And what I've said to the president, for example, on yesterday, what we need is rapid repair housing. That is a very, very high priority to provide assistance so that people can stay in their homes, make the necessary repairs that would allow them to stay in their homes, while they do the bigger repairs. I want to ask you about the President's visit. Helpful? The president's visit on yesterday was very positive. The goal for this week for me, we're going to take it one week at a time, and that's housing, housing, housing. Checking on people, especially in these communities that don't necessarily get all of the attention. But, you know, where senior citizens exist, people with disabilities, low income communities, we're checking on them. And we need to make sure that their housing is good enough for them to live in. So it's housing, housing, housing, reducing the number of people, for example, in our shelters. And that number has dramatically gone down. And this major shelter in downtown, George R. Brown, at its peak, we had 10,000. Now that number's down to 1,400. The other thing this week which is a high priority is debris removal. And every community, every part of this city, was touched by this storm. And so people now are already putting that debris out. And what I said to the president, "We need to get that debris removed like yesterday, otherwise we'll have a public safety hazard." And so the city's crews started on Thursday removing the debris. We're working every day. But we need advanced funding. The president was certainly amenable to that. And in fact, he issued a statement that it would be 90 percent reimbursable in that category. So housing, housing, housing for this week, debris removal this week. And then saying to our businesses and others, "Let's get going. We're in the recovery phase. And so let's move forward. Open up the businesses. Provide the necessary employment. But let's get going." All right, Mr. Mayor, Sylvester Turner, as I said at the top, I know you're among the busier people in the country right now, dealing with this. And like I said, you got a whole country behind you. Thanks for coming on. Well, we appreciate it. It's a can do city. Chuck, come and visit us in one year and I'll show you a better city than it was before the storm. That's a deal. I'll be there. I can't wait to interview you then, one year from now. Thank you, sir. We'll have a lot more on Harvey later. But when we come back, August was a rough month for President Trump, so what about September? How much can a president get done? Low poll numbers and being increasingly at odds with his own party. I'll talk to a leading Republican Senator, Roy Blunt of Missouri. And as we go to break, here are just a few more scenes from Texas this week. Welcome back. Even before Hurricane Harvey hit, President Trump and Congress had a pretty big to-do list for September, passing a budget, raising the debt limit, basically our credit card line, keeping the government open, deciding whether and how to pay for Mr. Trump's border wall, and of course, getting tax reform started. And the president claims he still wants to do health care. All that would have been hard enough if President Trump weren't weakened by some poll numbers in the 30s now, and an increasingly testy relationship with his own party. Joining me now to talk about what could get accomplished this month is republican Senator Roy Blunt of Missouri. Sen. Blunt, welcome back to Meet the Press. SENATOR ROY BLUNT: Good to be with you, Chuck. CHUCK TODD: Let me start with North Korea. It seems like the conversation is the same. It used to be about every three months we’d have the North Korea conversation. Now, unfortunately, we’re having it every three weeks. Sanctions aren’t working. Um, these joint military exercises don’t seem to have an impact on him to ratchet things back. He continues to ratchet things up. What’s left in the diplomatic arsenal? SENATOR ROY BLUNT: Well, for 20 years, diplomacy by itself appears not to have worked very well. Sanctions, without Russia and China being interested in solving this problem, don’t work very well. I think the president putting everything on the table is, is not a bad thing right now, both for North Korea, but maybe more importantly for China to be thinking about how consequential these, this behavior is. You know, and the Intel committee that I serve on, I think it doesn’t disclose anything to say that in the last year this has probably been the number one topic, month after month: what was happening there, what were we going to do about it? I hope the neighborhood understands how critical this is. CHUCK TODD: Is the assumption now among the high-level folks in the government that Russia and China in some ways have actually -- I mean, North Korea appears to be on a faster track in their developments. How helpful has the Russians -- and, perhaps, the Chinese -- been to them? SENATOR ROY BLUNT: Well, you know, we, we -- there’s some sense that they have been more helpful than they should have been and more sustaining to the economy than they should be. Everybody in the world as well as particularly the countries that are in the region have a lot at stake here. Nobody in their right mind would want this to happen. Uh, you’ve got a leader who is both spoiled and reckless. Spoiled and reckless is not a unique thing to find in the world today. But it is a unique with somebody who has control of what may now be hydrogen weapons as well as nuclear weapons. CHUCK TODD: Why are the Russians helping them? The Chinese, there's been some analysis as to why the Chinese are not quite sure, they're afraid of a unified Korea, they're afraid of it becoming an ally. There's some at least diplomatic understanding, though. What are the Russians up to? Is this simply to distract the United States? Well, you know, the Russians have had a Korean interest for well over 100 years. It is close to them. It is another outlet, potentially, for them. I think the Chinese have more at stake and do more to sustain that economy. They could also do more to quickly cool that economy down. Though with this leader, does he really care about the other people in the country? Or does he just care about himself and staying in power and intimidating whoever's necessary for him to stay in power in his own country? All right, let me start with the to-do list that you guys have in September. It isn't a full month because there's a lot of holidays. So actually, you have probably about two working weeks to actually get some stuff done. The aid to Harvey, does this mean that the debt ceiling fight is postponed because of Harvey, the government shutdown, potential brinksmanship is not going to happen this month because of Harvey? Is that fair to say that all of this will get packaged together to at least keep the lights on for three months, raise the debt limit? Is that where we're headed here? I think it does create another reason as to why you want to keep the government open. Frankly, no interest in Republican leaders. I would think any leaders on Capitol Hill, of not keeping the government open. Tornado a few years ago. Are you comfortable with raising the debt ceiling with the Harvey money? It sounds like the president wants that. Are you comfortable combining all of that together? You could support something like that? Well, I never have great enthusiasm for raising the debt ceiling. But the debt ceiling, remember, is to pay for things that the government has already committed to. This is not a future spending thing. This is the bills we've already encumbered. And whether you put that with leaving the doors open for the government, or the debt ceiling vote, is something that will be decided in the next few days, I expect. Let me ask you this. What's been the reaction among Senate Republicans with the President's tough words on Mitch McConnell in the month of August? Is it going to make it harder to get some things done? Well, you know, they're both tough men. They're both tough men. I think they are both long time negotiators. They have been in situations before where everything didn't go exactly like you wanted it to. Members were doing things in their district. I imagine what most members were hearing were either, "You're too supportive to the president," or, "Not supportive enough of the president," without much discussion about a Mitch McConnell president or a Paul Ryan presidential relationship discussion. Well, I want to ask you, though, about a John McCain op-ed from Friday. He writes this: "Congress must govern with a president who has no experience of public office, is often poorly informed, and can be impulsive in his speech and conduct. We must respect his authority and constitutional responsibilities. We must, where we can, cooperate with him. But we are not his subordinates. We don't answer to him." And John McCain may be in a different place than you are as far as the president's concerned. But is that the general sense now that the Senate and the House Republican leadership want to re-establish that the legislative branch is equal to the president, not answerable to him? Well, you know, I think for the Congress to understand fully and the country to understand that these are two separate branches of government, is a good thing. I think it's also a good thing to understand that these are not people that you have much hiring or firing opportunity with as it relates to what individual members of the Congress decide they need to do. So certainly that's important. In terms of the President's ability in his job, I will tell you the one thing the president understands better than anybody in the country today is to how to drive a message, how to communicate with people using new ways of communication. And frankly, just a lot better at that than anybody else is. Since I have you here and you're a Missouri guy, I had to ask you about what Jack Danforth wrote a couple weeks ago, because it was a pretty stunning comment. He was pretty tough on the president. He said, "Now comes Trump, who is exactly what Republicans are not, who is exactly what we have opposed in our 160-year history. We are the party of the union. And he is the most divisive president in our history. There hasn't been a more divisive person in national politics since George Wallace." Senator John Danforth wrote this op-ed in -- he was not happy with the President's response to Charlottesville. Any part of that statement that you agree with? You know, Senator Danforth's always been helpful to me. He's a friend of mine. This is not unusual for him to set a standard that is not necessarily the standard that gets things done. We have to work with the president. I think it's a mistake to get in a fight with the president. It's not a mistake to disagree when you disagree. It is a mistake to suggest that somehow this president, who was elected just as the constitution prescribed and has the responsibility to lead the country, that somehow we need to not work with this president I think is a bad road to go down. Is the president as divisive as Senator Danforth is claiming? I don't think so. I don't think so. I was with the president in Springfield, Missouri, my hometown, Wednesday. He talked about the importance of better jobs and more take-home pay and how we could get there. And believe me, that's a message that resonates in the country. We're almost at the end of a full decade of people's take-home pay and what they can spend on their family has not increased. The president wants to see that happen. We ought to all be focused on making that happen. That will be one of the real tests of whether this Congress and this president can do the job. All right. Roy Blunt, you have a busy September. Republican Senator from Missouri, good to see you, sir. Thanks for coming on. When we come back, the President's tough August has taken a toll even among some of his supporters. What some Trump voters told us this week about what they think of the job the president is doing so far. Welcome back, panel is here. Matthew Continetti, editor-in-chief of The Washington Free Beacon, NBC News White House Correspondent, Kristen Welker, Susan Page, the Washington Bureau Chief of U.S.A. Today and Eddie Glaude, the chair of The Center of African-American Studies at Princeton University. Welcome. Not quite a holiday weekend feel. I think to the news. Look, we've got a lot to get to. And I want to get to it, though, through the prism of how the president is being perceived right now, even by some of his supporters. There was a striking focus group this week that Peter Hart, one of the Democratic halves of our bipartisan NBC Wall Street Journal poll conducted in Pittsburgh. And I'm going to play some sound. These are all from people that voted for President Trump. Take a listen. He's not even professional, let alone presidential. The thing that drives me crazy is all the tweeting he does. Maybe there's personal motives for his businesses involved. But I truly think he wants this country to be the best it can be. He is our president, until and if he gets impeached. As much as I thought he would be a quick learner and delegate to top-notch individuals, he hasn't done that. Matthew, I emphasize again, those were people that supported the president, all of them there. Those sound like grades that they're not ready to look at again yet. One thing struck at me, Chuck, which was the criticism of President Trump's tweeting habit. And you see two different Trumps. One is when he conforms to the mold of what we expect of a president. And there, I think actually, his supporters, and even some maybe leaners or independents, generally approve. Things like his Afghanistan speech, his budget speech, even his response to Hurricane Harvey. When he gets outside those official capacities, when he starts tweeting, when he kind of dukes it out with the media, like he did with this post-Charlottesville press conference, then those soft Trump supporters start going, "Can't he just change a little bit?" I think they like the disruption. I mean that's what they like, they idea that the system's not working, North Korea policy hasn't worked, we like somebody who's going to shake things up. They want to see a little more function. And that's one of the big tests, I think, for both the hurricane relief and the response to North Korea. They want to have the feeling that he has some control in these two big challenges. And especially North Korea. I mean that is a challenge that has the most catastrophic possibilities of any we've seen since the end of the Cold War. But I want to say, this reaction isn't new. We saw this during the campaign. We saw people questioning his competence, questioning his disposition, his temperament. So this isn't new. In some ways, I would want to say, remember in 1982 when Mayor Bradley ran for governor of California, we had The Bradley Effect, and there was worry about social desirability bias that, "I don't want to be seen as racist, so I'm going to tell pollsters that I would vote for him." And he was leading in the polls and he lost. We need to talk about the Trump Effect. There are folks who are going to tell us that he's incompetent, that the TMZ video was horrible, dah, dah, dah. And then, at the end of the day, they're going to vote for him, they're going to support him. Chuck, I think for a lot of his supporters, they tolerated the tweets, some of the chaos during the campaign, because they thought that he would be more restrained, he would reign it in once he was in the Oval Office, out of the good of the country, out of a sense of self preservation. And that's part of why you're hearing that frustration, because they feel like the chaos has persisted for too long. And I also think, more broadly, there's a frustration with the fact that he hasn't had any major legislative achievements. And that's why there's so much riding on this fall agenda, which you were just discussing with Senator Blunt. Well, what can get done this fall? Okay, on one hand, they have the must do's. On the other hand, he does need something that's a signature. How does he get his signature in these must passes? They look like they're in conflict. --the bottom of the list when you have all of these priorities to actually keep the federal government functioning and address Hurricane Harvey in its aftermath, the real keystone to the President's legislative agenda, which is a tax cut of some kind, keeps going down that calendar maybe even until next year now. Well, think about health care and tax reform both. I mean even health care, only the president's talking about messing around still with health care. But, you know, in this way, the hurricane, which is a tragedy, and we're thinking about the people that we've seen on T.V. and elsewhere, it's also an opportunity, because it changes the agenda. If he can deliver on hurricane relief in a serious way, even though it doesn't get the tax reform, maybe that's an agenda item that wasn't on his original agenda but gives him something where he looks competent and helping American people in a really substantive way. If he stays focused on Harvey. I mean one thing about the president is that he'll get focus for a minute, and then he'll move over there, and then he's not. But the developer in him, this could be an opportunity for him to be actually in his comfort zone. Well, you know, I think so. And I think that's right. But I think we need to understand that Donald Trump is just the tip of the ideological divide iceberg. That we tend to put Trump over here, and then those who are against Trump, over there. But underneath, there's all of this division, right? The Freedom Caucus, right? Corporate Republicans, right? The Libertarians. You have Democrats, corporate Democrats. You have the left within the Democratic Party. All of this is underneath. And we tend to kind of focus it towards Trump, whether he's successful or not. But this is happening under these, which complicates and mucks up the legislative process. I think you'll see some short-term harmony around trying to get relief for Hurricane Harvey victims. I do think they're going to tie the debt limit to Hurricane Harvey relief. I'm being told that that is increasingly likely. But then what happens next? How do you get tax reform done? There's a lot of divisions between the White House and Capitol Hill over the specifics. And I think that's where it gets a lot more challenging. And I have yet to bring up DACA. I am going to bring up DACA in a few minutes. When we come back, why Houston was particularly vulnerable to flooding and why it may be so difficult for the city to prevent something like this from happening again. And we are back. Data Download time. In the wake of Hurricane Harvey, what kind of challenges could Houston face as it starts to rebuild? Taking a look at how the city has changed in the last two decades could actually help us start to understand. Harris County Texas, the Houston metro area, has seen its population explode since the turn of this century, from 3.4 million residents in 2000 to nearly 4.6 million in 2016, a 35% increase in less than 20 years, much faster than most metro areas. Notably, one part of Houston's population influx came from New Orleans residents displaced by Hurricane Katrina in 2005. Roughly 250,000 residents took refuge in Houston following that storm. And an estimated 25-40,000 of those folks actually still remain in Houston today. Houston is also a very diverse city. Since 2000, it's white, non-Hispanic population has declined from about 42% to 30% while, at the same time, the Hispanic population has risen from 33 to 42%. And this could present another set of challenges to the recovery efforts. Pew estimates more than half a million area residents are undocumented immigrants. What happens to these folks when they're home? Can they rebuild? Are they eligible for federal dollars? Welcome back. Oh, by the way, Russia. And I say, "Oh by the way," because, as my executive producer put it in one of our morning meetings this week, he said, "There's a lot of this and that." Let me run through a little bit of the this or that. Mueller obtains an early draft of President Trump's letter firing Comey. Basically, find out there's a second letter besides the one the attorney general and the deputy attorney general wrote. Special Counsel Mueller apparently is teaming up with the New York Attorney General and the I.R.S..
Paul Manafort, President's former, one-time campaign manager, turns over a bunch of notes, including some notes from that infamous meeting with some Russians and Donald Trump Junior. And then of course we find out that, yes, the Trump Organization was trying to build a Trump Tower in Moscow. Susan Page, it is a lot of this and that. What does it tell us, big picture, about where the special counsel is? You know, it's just a little reminder that you may not be paying attention to the Russia investigation, but the Russia investigation is paying attention to you. And I think Bob Mueller, the special counsel, not at all unhappy that there's less attention on him and more attention on hurricanes and nuclear blasts. But he is going to persist. And he is going to find things. And these are just suggestions of them that we don't know now but we will know eventually. Matthew, the discipline of the President's going to get tested in the next ten days on Russia and on Hillary Clinton. And he's probably going to combine the two when she comes out with her book that comes out. Is he going to be able to-- he's actually avoided the topic of Russia, for him, a lot over the last two weeks. Will it continue? Well, we'll see when the headline breaks that he feels compelled to respond to, whether he can resist commenting. What strikes me about the letter story in particular is how central Trump is to all of the responses to the Russia investigation. Remember, of course, he was involved in the statement of the crafting of Don Jr.'s statement when news of that meeting leaked, too. This, I think, is a potential problem for the president, as Mueller's investigation comes to kind of a climax, where he might be asked to testify. And that, I think, is a point of maximum danger. I want to switch gears a little bit. On Tuesday, the president is going to make some announcement on DACA. This, of course, is the President's deferred action, children brought over here illegally by their parents, protected from deportation with an executive order by President Obama. Kristen, is the president going to rescind it? Is the president going to ask Congress to codify it? Where is he headed on this? My sources tell me he has made a decision. They won't tell me what that decision is, unfortunately. But they also caution, "Look, he could always change his mind." There's been a very robust debate inside the White House. A lot of people saying, particularly in the wake of Hurricane Harvey, you cannot rescind DACA. You cannot take away these legal protections for 800,000 young people. I am told most likely he's going to find a way not to have his hand on the knife. That could mean take it to the legal system or to Congress. But his base is saying they want to see him rescind it. Eddie, I smell a "he's going to take it to Congress and ask Congress to codify this." Look at the responses from, and I'm going to put up three in particular, Orrin Hatch: "I've urged the president not to rescind DACA. Hint: I don't want to vote for it." Paul Ryan: "I don't actually don't think he should do that." Again, he wants to keep it. Is he ready to vote for it? Rick Scott, governor of Florida, very close to the president personally and politically, but also wants to run for the United States Senate in the state of Florida, he wants to protect these kids. Is this headed to Congress? It seems like maybe, if the president wants to pull a political fast one and say, "All right, I'm going to rescind it in six months, you guys codify it between now and then. " Now, that would make political sense. But I'm not sure that that fits Donald Trump's MO, right? So part of what I'm interested in, so it's something Kristen said. This is about his base. And I've been talking about, you know, we can think about the policy issues. But there's this kind of cultural undertone. That this is really red meat to his base. That it's really speaking to a kind of deep-seated cultural anxiety about the changing nature of the country. That this immigration issue is not about securing the border, it's not about jobs, it's not about fixing a bad immigration policy. It's really about what Houston looks like. It's a majority/minority nation. Where are we here, Matthew, in the party? Well, complicating the issue is that the Republican Party itself is divided. All the Republicans you quoted, Chuck, come from the kind of pro-business moderate wing of the caucus. There are two other wings. One is the Tea Party conservatives who oppose DACA for separation of powers reasons. And then of course you have the working class populists, who were for immigration restrictionism, in fact, want to reduce the number of legal immigrants admitted. That's two wings of the party who are aligned with Trump on the DACA issue, versus the pro-business moderate wing. I think we might see the end of DACA in the coming months. Very interesting. All right, guys. We're back in 45 seconds with Endgame. House intrigue is back again. Is Chief of Staff John Kelly already on the White House endangered species list? We’ll be right back. And we are back. August, of course, brought a whole sea change. And the John Kelly Chief of Staff reign here, look at this, he apparently continues what some Trump supporters call a purge, if you will. John Kelly's pushing out now Omarosa, because he has denied her access to the president, believing she was somebody that's feeding him negative vibes. Then Roger Stone tweeting last night, of course a political consultant, on and off relationship with the president, "Report that long-time Donald Trump body man and patriot Keith Schiller is leaving the White House, is ominous. The Kelly purge?" Susan, what's going on here? --getting control of the White House staff in a way that his predecessor, Reince Priebus, was never able to do. He is still not chief of the president. And nor could a chief of staff do that. And you see all those signs. And that fuels the speculation about how long will John Kelly last if President Trump feels like he's being managed? --who have now been disappointed that they don't have access to the president anymore, or that John Kelly listens on the phone conversation. That's some-- they're sending a signal for the president, apparently, that, "Hey, is John Kelly's handcuffs too tight on the president?" I think that some within Trump world think it is too tight. Look, the president does feel, to some extent, as though he's being handcuffed. But there is a broad agreement Democrats and Republicans say the messaging coming out of the White House is more disciplined. But I can tell you the President's still talking to some of those former advisors, people like Steve Bannon. He's still getting their mind meld as he's making some of these decisions. So I think that some of the push and pull you're going to see in these coming weeks. I have to say, though, the Schiller thing in particular, is there a point, Matthew, where he feels too isolated in that White House, where he looks around and he thinks, "Who's with me other than hope?" Keith Schiller's also one of President Trump's closest friends. So I think he might take that as a personal loss, too, if he has some distance there. You know, John Kelly's been through a lot. And one question I have is how long is he going to want to remain in the job? And there's always the challenge, you know, to borrow Senator Blunt's language as he described another leader, there is someone who's spoiled and reckless that he has to manage. So I don't know how long this is going to last. The people who may be happiest about John Kelly, lawmakers on Capitol Hill. They say finally they're getting a clear message out of the White House. Okay. Well, all of it gets tested in the month of September. You guys are great. Appreciate it. Rough week. Good stuff. That's all we have for today. Thanks for watching. Have a safe and enjoyable last gasp of summer this Labor Day weekend. Enjoy the football. And remember, we're back next week. Because if it's Sunday, it's Meet the Press.